Directed by David Lowery. Produced by James Whitaker. Written by David Lowery and Toby Halbrooks. Release date: August 12, 2016. 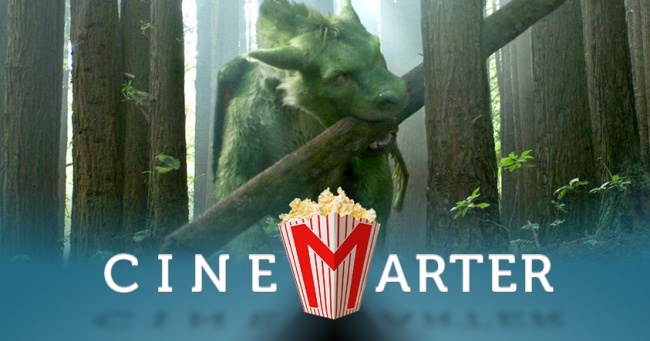 Pete's Dragon was originally a movie from 1977, which you likely either remember from when you were a kid, or haven't ever seen and hopefully never will. It was a live-action movie save for one key aspect: a cartoon dragon. It basically just had a kid and his dragon do things for a couple of hours, acting rather aimlessly - and also it's really creepy and stupid. Really, it's awful. Don't ever watch it if you haven't. The new movie throws away most of ideas from the original in favor of a new story about a boy and a dragon that's less aimless, creepy, stupid, and terrible, but also about as interesting as an after-school special. So, progress, I guess? In the new film, Pete (Oakes Fegley) and his parents head out on a road trip, only to get into an accident while heading through a forest which kills both parents. Pete survives, is chased into the forest by wolves, is saved by a dragon whom he names Elliot, and lives with him for the next six years. 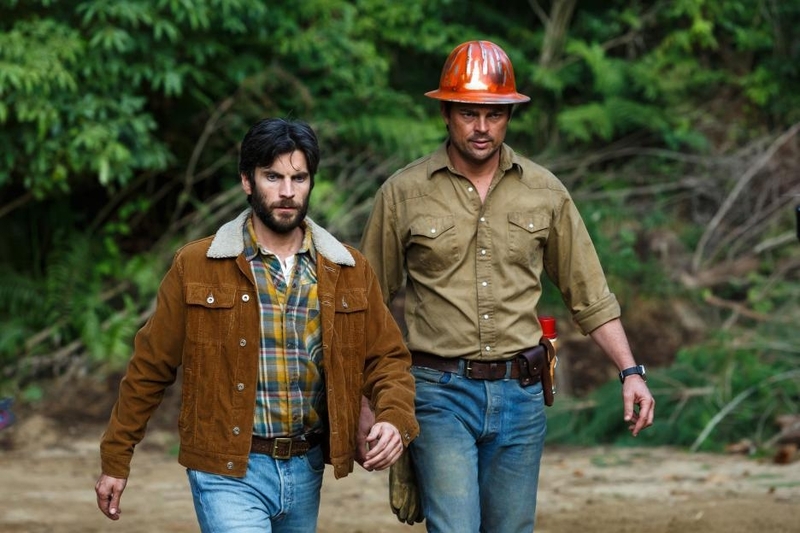 After that time, he's discovered by a park ranger (Bryce Dallas Howard) and her daughter (Oona Laurence), is taken away from his dragon - whom most believe is imaginary - and then spends the majority of the remaining running time trying to get back to Elliot, all while the dragon is hunted by Gavin (Karl Urban) and a bunch of loggers who work for the ranger's husband (Wes Bentley). So, yeah, it's a story about a kid wanting to get back to his friend, a family trying to keep him with them, and a villain wanting to capture the dragon ... because it's a dragon, and no other reason. I guess he doesn't need one. It is, after all, a dragon. And they've done a pretty solid job rendering Elliot. He's hairy, not scaly, and looks very much like a CGI version of the cartoon character. It's weird, then, that there isn't much awe when it comes to the dragon. Elliot's first encounter involves him staring a lot and asking if he's about to be eaten - as a five-year-old just learning to read and talk properly. When the other humans see the dragon, they cower in fear for a couple of seconds before accepting it for what it is. 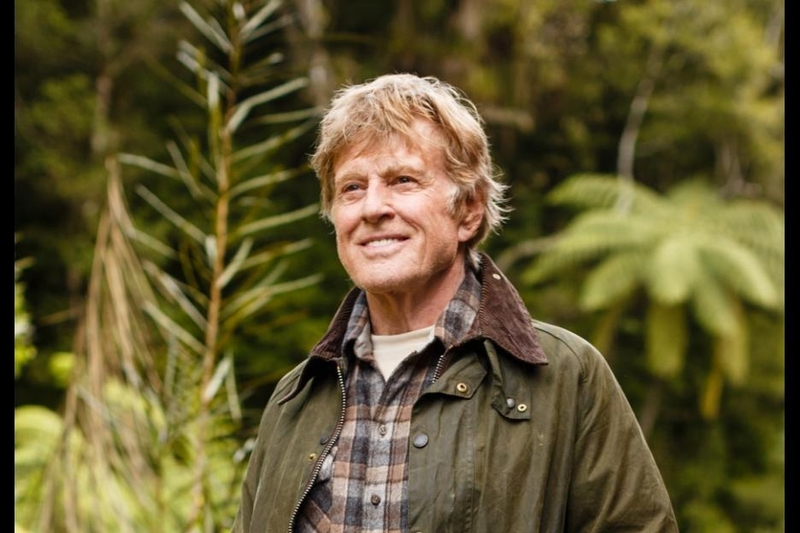 An elderly gentleman (Robert Redford) tells us midway through that he felt "magic" when he first met a dragon, but that fails to translate through director David Lowery's camera. 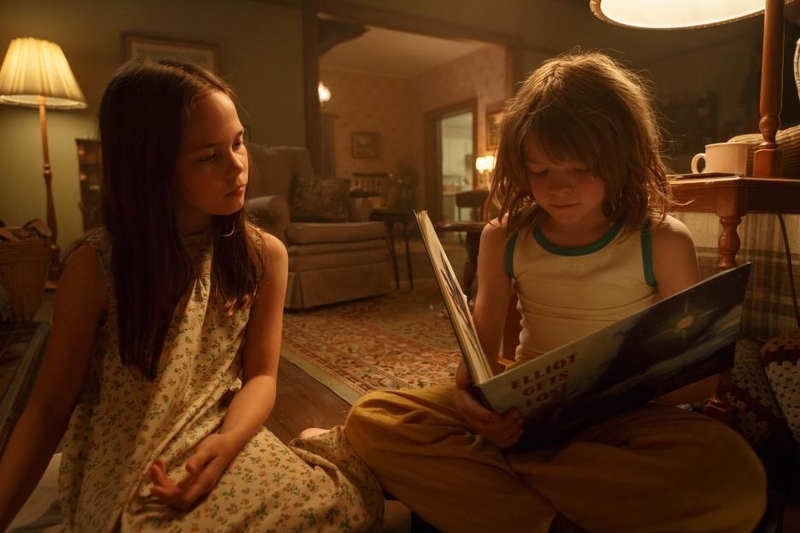 Pete's Dragon is a boring, but ultimately harmless, movie aimed at children that panders to its target audience to the point where more adults are going to fall asleep than be entertained. Pete manages to get a pretty strong grasp on English while in the forest, alone, with a dragon that cannot speak and only a single children's book to help him. He sounds like a normal 11-year-old, which is great for the film, because everyone else sounds like an 11-year-old, too. Adults sound like they're talking in slow-motion and with only the most basic of words. It makes sense when they're talking to Pete that way, since he's lived away from civilization for six years, but when adults are speaking to each other? It's pandering to the six-year-olds in the audience, and insulting to the adults. People don't talk this way. It makes every dialogue exchange boring. There's a balance here, and the film skews way too hard to the "goo goo ga ga" side of the creak. That tone latches onto the story, too, where the conflicts are so basic and handled so easily and gently that there isn't any risk of anyone hurting anyone else's feelings. The villain isn't even painted as a "bad" person. It has very little going on in its head, ostensibly because it doesn't believe its young audience would be able to think and be in awe of its CGI dragon. This is a film that has loggers - who at one point are told they're cutting too deep in the forest - and it can't even muster an anti-deforestation angle. The actors are hampered by this slowed-and-dumbed-down idea of dialogue the film has, in addition to the utter lack of depth most of them have. It's hard to expect much from them given both of these handicaps. But they couldn't even get me to believe they're in awe of a dragon - which means the audience isn't going to have that reaction, either. Nobody's particularly good. 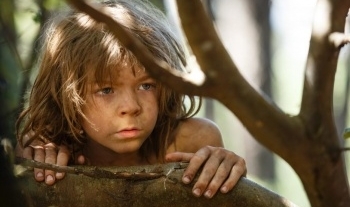 As our lead, Oakes Fegley is bad at any of the dramatic stuff but fine when it comes to the physical acting. Like The BFG a month before it, Pete's Dragon is a boring, but ultimately harmless, movie aimed at children that panders to its target audience to the point where more adults are going to fall asleep than be entertained. It has as much conflict as a genial after-school special, adults who don't in any way communicate like actual adults, bad and/or bland acting performances, and a good CGI dragon that the film can't even make us feel is worthy of our awe. As such, Pete's Dragon isn't worthy of our time or money. 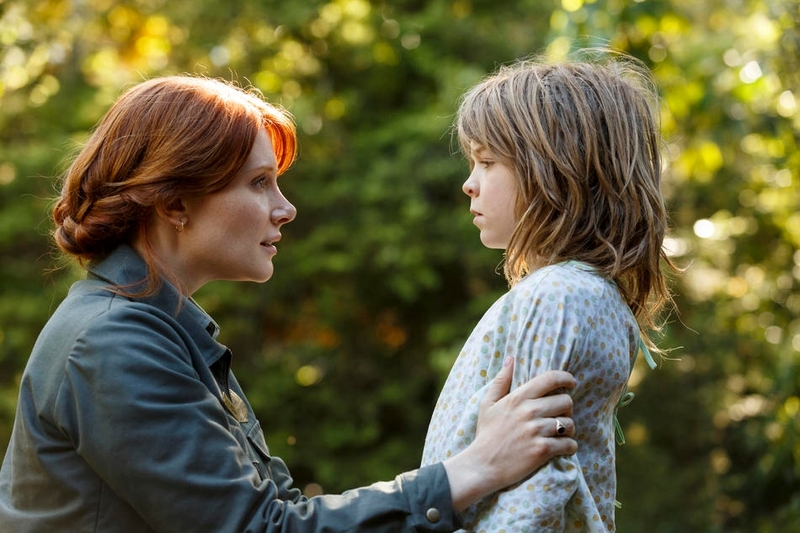 Bottom Line: Pete's Dragon has far too much fundamentally wrong with it to be called anything close to a good movie. But it's still heads-and-tails better than the original. Recommendation: If your kids want to see it, try to talk them out of it. If you can't, drop them off and go do something else.